Now through April 7th - Receive a Free Set of 12 Floral Water Tubes with your basket! Use these tubes to arrange fresh flowers or greenery to welcome your guests. 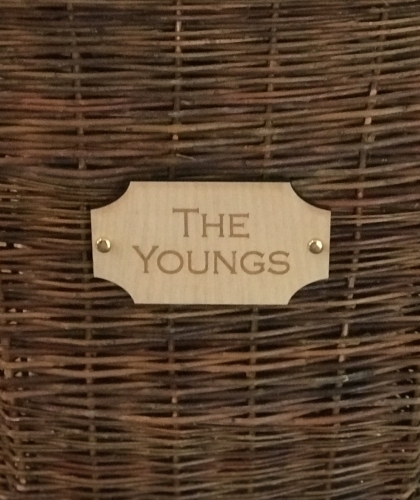 This versatile rectangle basket has so much purpose for such a simple design! 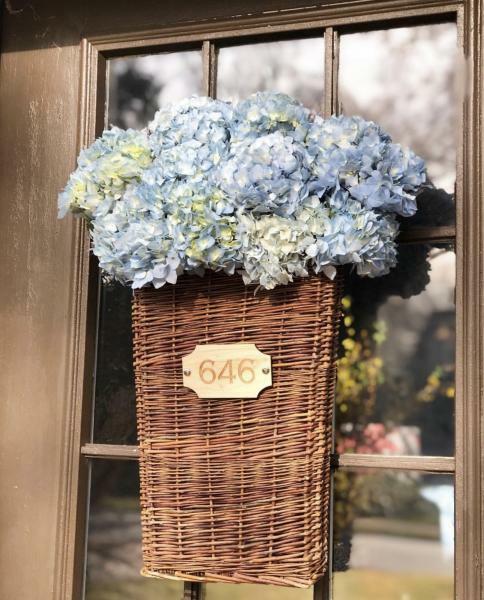 Perfect with flowers or greenery on your front or back door,this willow basket can also be used as a catchall for magazines or towels. 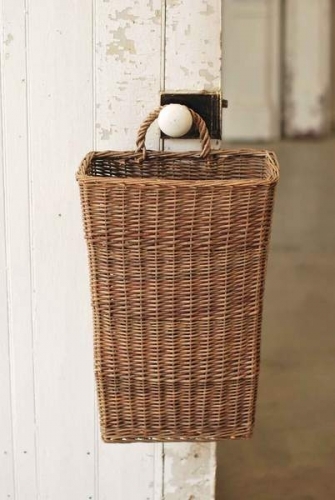 This basket features a woven wicker oval handle for hanging on your door, wall or doorhandle! 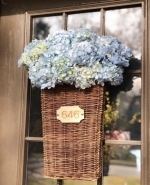 By adding different ribbons and accessories, this basket is perfect for every season! Add your single initial, monogram, name or custom phrase to the wood tag. Measures 17"H X 11"W X 4"D. This item is not suitable for constant direct sunlight or direct exposure to rain or snow. This basket has a rustic washed finish and should be sprayed with clear matte sealant if using outside for everyday use.